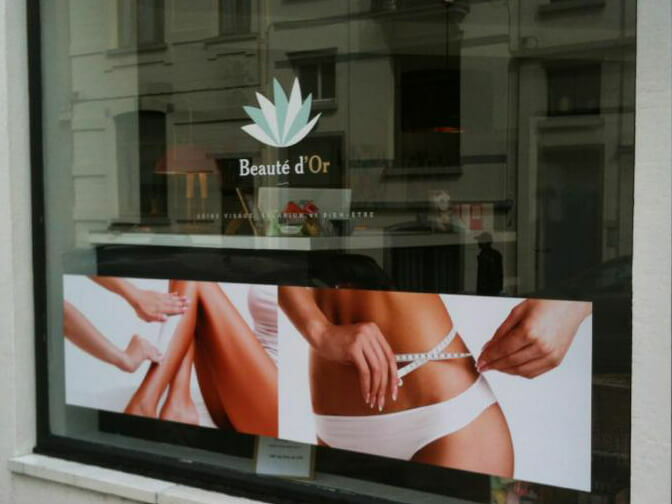 Visual identity of spa Beauté d'Or. 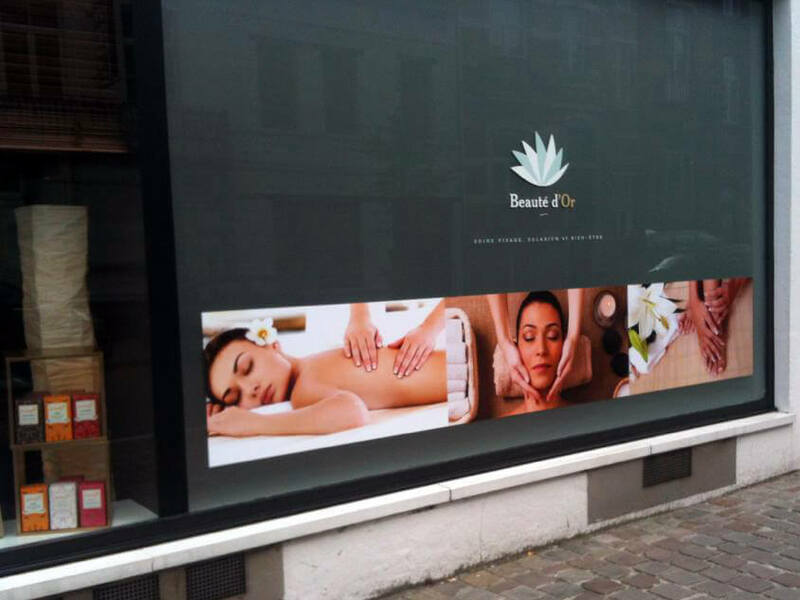 I was commissioned to create the logo and the visual identity of a newly created spa called Beauté d'Or, in Brussels. 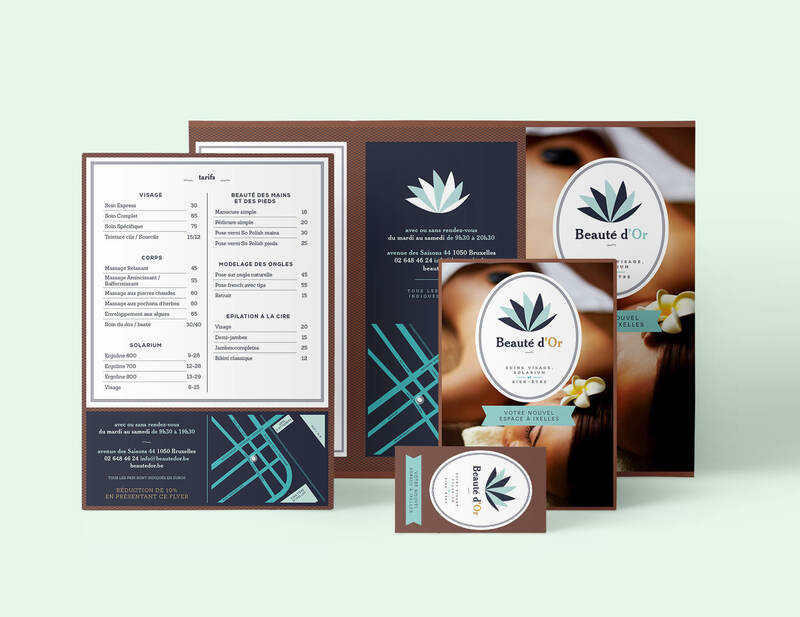 The mission included, besides the logo, designing all the stationary (invitations, flyers, business cards, fidelity cards and leaflets), a pavement sign and the spa display.